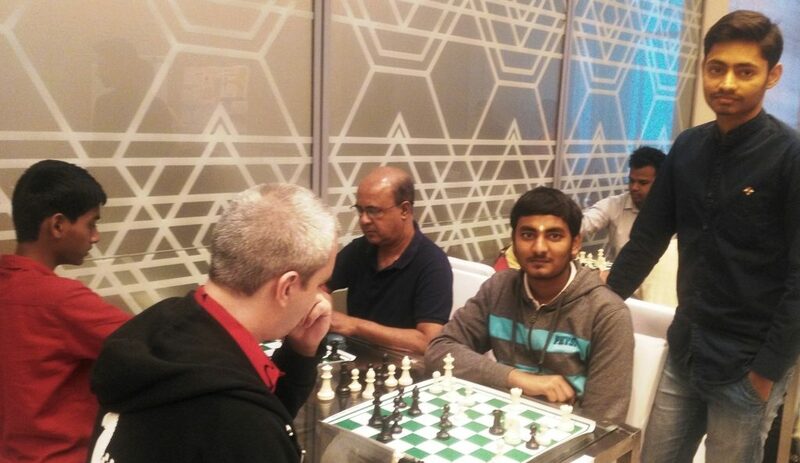 GM Lugovskoy Maxim of Russia maintained his lead with 6.5 points after the seventh round in the 11th Chennai Open International Grandmaster Chess tournament 2019 for Sakthi Group Dr N Mahalingam Trophy at Novotel IBIS OMR Hotel, Sholinganallur, Chennai. The top board game between Grandmasters Lugovskoy Maxim and Paichadze Luka ended in a hard-fought 60 move draw. The Caro Kann game saw periodical exchange of pieces leaving them out with a king and bishop ending. The draw was agreed when they reached a position, where neither had chances. 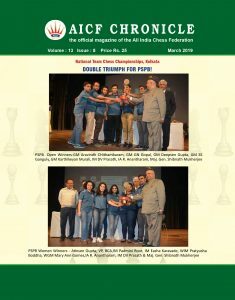 Bihar talent Saurabh Anand put it across Grandmaster Manik Mikulas of Slovakia keeping his International Master Norm chance alive. In an interesting Sicilian game, he came up with a nice pawn sortie that made his offside pawn a powerful and winning one. The unstoppable rook pawn coupled with loss of material, forced Mikulas to resign after 33 moves. Saurabh who came with an IM Norm performance in the recently concluded IIFL Mumbai Open, has played, thus far, four titled players and has remained undefeated. Sharing the second spot with 6.0 points were Paichadze Luka, Pantsulaia Levan (both Georgia), Predke Alexandr (Russia), Stupak Kirill (Belarus) and Karthik Venkataraman (India). This ten round Swiss event carries a prize fund of Rupees 15 lakhs with 55 prizes in the Open & Category sections. The final round is scheduled for Friday, 25th Jan,2019.